As we’ve reported, H.R. 1 is Nancy Pelosi’s signature bill. It contains, as one would expect, all manner of freedom-limiting laws but it’s purpose is more of a statement of the Democrat party’s distrust of American citizens and their desire to embrace a more totalitarian form of government than it is actually a law. Today, a motion was made to add to this bill a simple statement that stated that it was the “sense of the House” that illegals should not be allowed to vote in federal elections. In other words, a mere affirmation of the U.S. Constitution. “It sounds like I’m making it up. 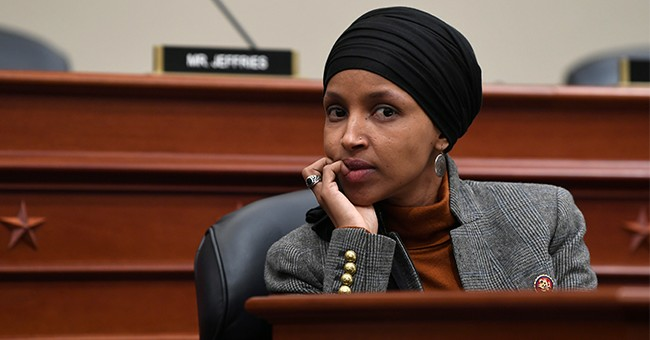 What kind of government would cancel the vote of its own citizens, and replace it with noncitizens?” said Rep. Dan Crenshaw, Texas Republican. This is one of those times when you really want to tell the Vichy Republicans that encouraged voting to flip the House to “teach Trump a lesson” or as a “check on Trump” to just f*** the f***ing f*** right off. And Justin Amash’s fan club owes us all an answer on why he’s in favor of illegals voting.